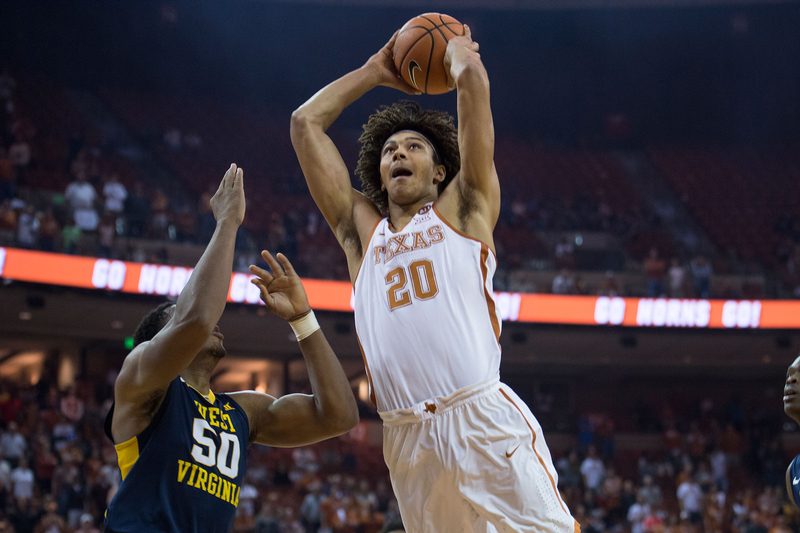 Texas men's basketball head coach Shaka Smart said the 11-point, seven-rebound, two-block performance Jericho Sims turned in against Xavier is an indication of the freshman forward's considerable potential (photo courtesy of texassports.com). AUSTIN, Texas – It’s the final week of March 2019 and there are just three teams from the vaunted Big 12 Conference that are still playing basketball: Texas Tech, TCU, and the not-dead-yet Texas Longhorns. The Longhorns, and TCU, earned berths in the NIT quarterfinals via two home wins over the first two rounds, Texas' latest being a 78-76 overtime victory Sunday over Xavier. Next up for Texas is a round-of-eight dustup Wednesday at the Frank Erwin Center against former conference rival Colorado, with the winner of that battle garnering a trip to the semifinals April 2 at Madison Square Garden in New York City. That has been the focus of the Longhorns, at least through the first two games. What its close victories have shown is that Texas “belongs” right where it landed in the postseason. Also evident through the clutch play shown in victories over South Dakota State and Xavier is how close UT was to being good enough to be a part of the NCAA Tournament. The crowd for Sunday’s win at the Erwin Center was announced at 3,204, nearly twice as many as showed up March 19 night for the first round against South Dakota State. Sunday’s win over Xavier, a tall and tough Big East team that might have been the second-best team in this tournament, was a good one. 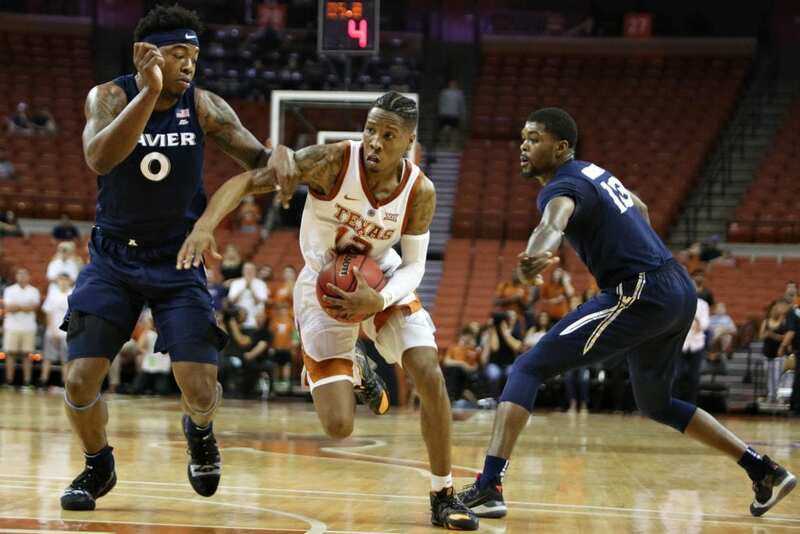 It showcased the talents of senior Kerwin Roach II, one of the players who led the Longhorns through the regular season until his suspension with five games remaining, which ultimately contributed significantly to the determination of his team's ultimate postseason event. Roach scored a team-high 21 points to lead while converting six of 13 shots from the floor, including both of his shots from three-point range, and adding eight rebounds and six assists. As good as his game was, Roach’s ineptitude at the free throw line (he made just 7 of 15) almost sunk the Longhorns. Kerwin Roach II (Photo courtesy of Texas Sports). Four of the team’s youthful core — guard Courtney Ramey and forward Gerald Liddell, both freshmen, and forward Jericho Sims and guard Jase Febres, both sophomores — also made crucial contributions, a sign that Texas will have good players with which to grow next season and beyond. 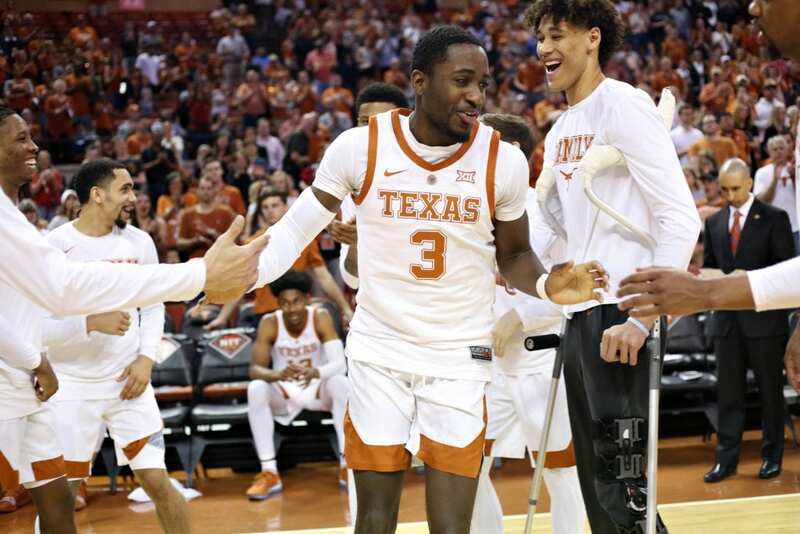 For Sims, who was expected to be a key player for Texas this year but was tentative and eventually passed for playing time by freshman Jaxson Hayes, the win over Xavier had observers shaking their heads over what could have been ... and happy about what might still be. Sims racked up 11 points, seven rebounds (four of them on the offensive end) and a pair of blocks in the win, his best production since scoring 14 points Dec. 5 against VCU. Febres tallied 17 points, shooting 5-of-8 from beyond the arc, while Ramey recorded 17 points and a career-high eight rebounds. “NIT, March Madness ... regardless, if you’re still playing in March, every single game you go out there, if you’re a competitor, you’re going to want to win,” Febres said. Liddell, who rarely saw the floor in the regular season, contributed tough defense and high-energy plays in six first-half minutes, the most he’s been on the court since playing seven minutes in the season opener against Eastern Illinois. With the victory over Xavier, the Longhorns (18-16) guaranteed that they will have a winning record in their uneven campaign. 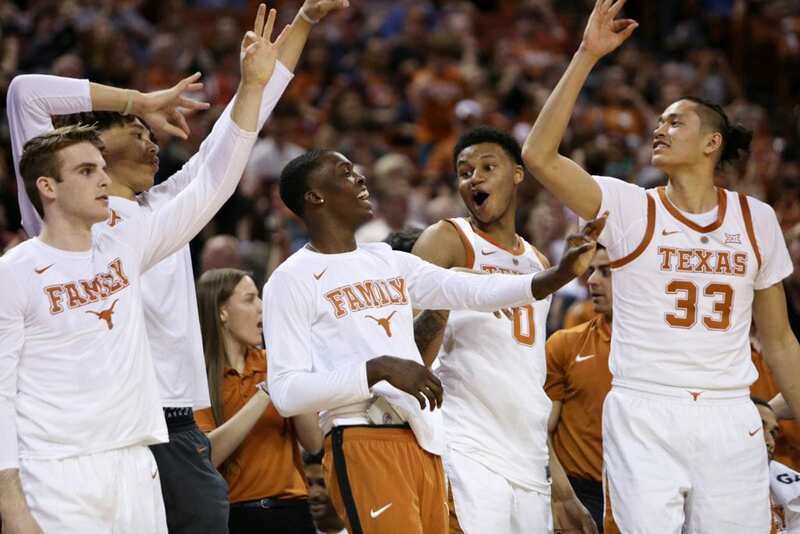 If Texas wins out, it will finish with 21 wins – and that certainly sounds a lot better than the 16-16 markwith which the Longhorns started the NIT. Courtney Ramey (Photo courtesy of Texas Sports). Fourth-seeded Colorado punched its ticket for the next round with a 76-60 victory Monday over eighth-seeded Norfolk State in Boulder. The Buffaloes (23-12) went 10-8 in Pac-12 play this season and finished tied for fourth in the league standings. They have won 12 of their past 15 games and will be coming to Austin ready to shoot down their long-time rivals. The Buffaloes’ 23 wins tie for the third-most in program history, with all four of those seasons coming under Boyle. Tickets are still available for the big game, with access to the Erwin Center just $14 for reserved tickets and $12 for GA tickets available at TexasSports.com/tickets, by calling 512-471-3333, or by visiting the Erwin Center box office. Parking is available for $10 in either the Health Center Garage (1601 Trinity Street) or Trinity Garage (1815 Trinity Street). Should the Horns advance they will move on to play in the NIT Semifinals at Madison Square Garden on April 2.